So, you decided to give it a shot? (pun intended) Now you can impress your friends and neighbors by putting your koi to sleep & reviving them again. It is really, really, simple, but don’t tell them that. There are two types of anesthetic I recommend. 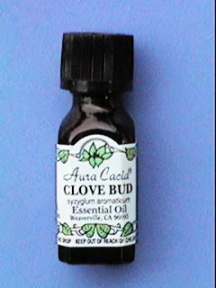 Eugenol is simply Oil of Clove. It can be found with the essential oils in any decent health food store. It smells nice to. I have had virtually no side effects from the use of this product, except when the koi are returned to the pond, there is always at least one other fish that chases him. My guess would be because of the remnant smell of cloves. Dosage: Add 5 drops of Eugenol per gallon of water. That’s all! I use a round tub only slightly wider than the length of your koi. I use just enough water to cover the fish by about 2″. If you are going to treat several days in a row, you can keep the anesthetic tub & contents. However, don’t keep it if the water gets to dirty. This is considered a “professional” anesthetic. 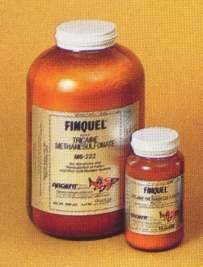 Brand name Finquel. It comes in powder form.